The Social Security Administration (SSA) is the federal agency responsible for providing a social insurance safety net to many Americans. One of the benefits provided by the SSA is Social Security Disability Insurance (SSDI). SSDI is a program which provides benefits to individuals who have suffered a disabling condition. Getting approved for SSDI benefits is a complex endeavor, and retaining the services of an experienced disability benefits attorney can be crucial to ensuring the success of an application. One advantageous aspect of SSDI benefits involves benefits which can be paid to certain members of the recipient’s family. Specifically, SSDI benefits may be paid to a recipient’s spouse (current or divorced) and children (including disabled minors as well as adult disabled children who became disabled before reaching the age of 22). A discussion of the benefits available for dependents of an SSDI benefits recipient will follow below. A high school student under the age of 19. For purposes of SSDI benefits, a “child” includes adopted children. The grandchild must have received at least half of his/her financial support from the disabled individual in the year before the disabled individual became eligible to receive SSDI benefits. The parent was receiving at least half of his/her financial support from the disabled individual at the time of the disabled individual’s death. An eligible dependent may receive up to 50% of the disability benefits paid to the disabled individual. However, there is a family limit on benefits. SSDI will only pay 150-180% of the disabled individual’s benefits for the entire family, the exact percentage being determined by a formula. Further, if the amount the family would receive is greater than that percentage, the benefits to the dependents are reduced equally. If you are the dependent of an individual who is receiving SSDI benefits, or if you are currently receiving SSDI benefits and have a dependent, and are curious as to potential benefits for the dependent individual, contact a disability benefits attorney as soon as possible. 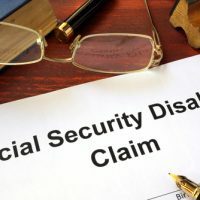 The legal team at Farrell Disability Law has years of experience in SSDI matters and can help you learn how a dependent may receive benefits. Upon a review of your situation, we will work to ensure that your dependent receives the greatest possible amount. Contact our Jacksonville office today.